I check youtube for update videos for this game almost every day. I wish we had more news on how it's coming along. Keep up the great work, we're all here silently waiting for this game. i hope everything is going fine. You have alot of quiet supporters who wishes this game the best. They give updates in facebook mainly. What is the URL of the Facebook page? But they havent posted anything since May 28. Oh my God, not again!! The Web Site video mentions 5 player subs. What is the fifth position? This game looks almost ready for launch. Great work. Master of the unspoken comment. The playable positions are captain, navigator, radioman, helmsman and dive officer. Here is a new gameplay trailer! 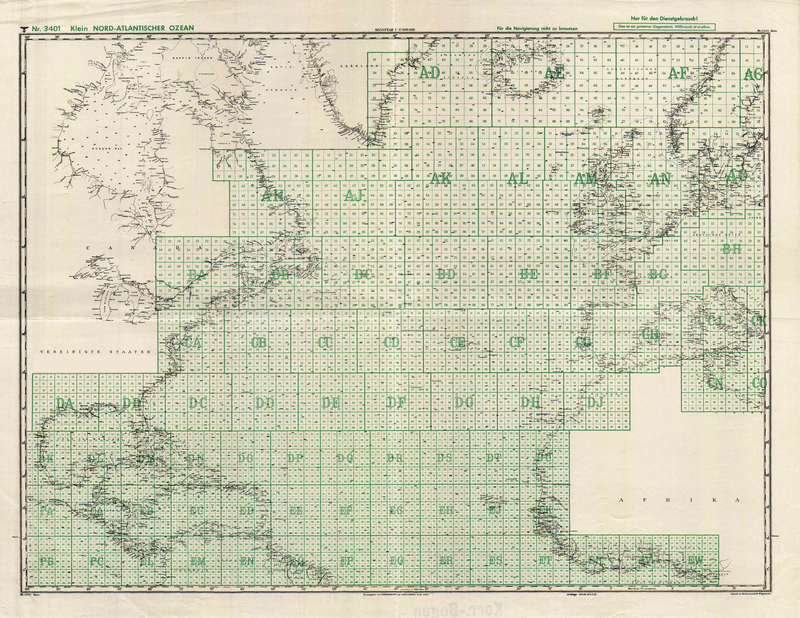 We are currently looking for information about this grid map, and since you guys are very knowledgeable in this field I figuered I'd ask you about it. We want to use it in the game, but we are unable to find any information on where to find a high resolution version of it as well as information regarding copyright issues. I have been looking around on the forum as well, but I've not managed to find anything about the actual source of the image. We are also looking for other versions of it covering the areas missing in this one such as the Baltic Sea. If you guys know anything about a museum or private collector who has it we would be very grateful! That map is a scan of the map included in the old Aces of the Deep by Dynamix Inc, (C) Dynamix Inc 1994. You could probably find an old copy of the game box that still has a map if you look around. But really you'd have to redraw the whole thing anyways and you wont get a better scan. That map wasnt that big to begin with. Also check with this guy. He was a huge collector for wwii naval maps. Funny thing is. If you search for a real version of that map it all comes back to that aces of the deep map. Even the official german navy website references it. Same map but slightly bigger and a bit cleaner. There is a good map here that shows the rest of the world as the AA grids but it doesnt have the breakdown of the sub grids. Also you can use this site to find specific grid id's you cant find anywhere else. Thank you for all your help. Very useful information!